Formula 2000 UK Championship Wrap Up!!! Well that is now the second DSRL championship finished and boy was it a good one. The racing was fast and close. Yes we had aidtheace run away with the drivers and privateers championship but it wasn't without plenty of action. 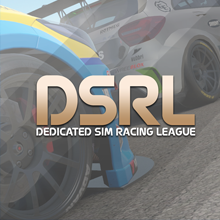 We have had a fantastic 23 drivers compete at one stage of another throughout the championship and I think it only shows how popular the DSRL is becoming amongst XBOX ONE sim racing fans. T3 Racings Rebel Whitey and Hurt MaGurt worked together to become the very first Teams champions. Its almost a shame that they are not pairing up again for the Ginetta Juniors to have another attempt. MunLow finished an incredible second in the teams. Pushing each other all season and ending up just under 30 points ahead of W07 Motorsport. Helped along the way with a run of 8 races where they 1 of the top 2 scoring teams. I want to personally congratulate everyone who has turned up and raced. There were times when it got very tough with connection issues and organisational issues. But we got there and I could not of done it without the help of RD Infern0, ReadingRich and aidtheace. One last thanks goes to Hurt MaGurt for stepping in to be host on what (hopefully) is one of the only times all 4 Staff members were out of actions. Many Thanks and see you on the track!!! Re: Formula 2000 UK Championship Wrap Up!!! Really enjoyed this series. Can't wait for the Ginettss to start. Well done to everyone that took part. Many thanks to DSRL, Adnins, Mods, and fellow Racers for a great season of close competition. Special thanks to Hurt MaGurt, whose consistency and dedication was instrumental in bringing the DSRL Formula 2000 UK Team Championship to T3Racing. While disappointed to lose Hurt to Racing Lions, I am looking forward to joining forces with old friend, RD Infern0 to defend the Team title. Race on!